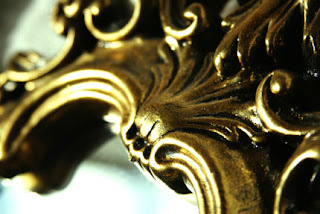 Add lustre to your life with genuine gold gilding in your home. Historically, this ancient technique has been used in palaces and temples, and more recently in the restoration of heritage buildings. Think of Versailles or Byzantine temples. Gold leaf has a unique sheen and splendour and is recommended for ceiling roses, cornices, covings, decorative mouldings and frames. Consider it for creating mystery in shadowy corners or in combination with creative spot lighting. Gold leaf comes in delicate squares of finely hammered gold and is best applied by an expert. It lasts longer than paint, because it is a fine metal layer. Applied Wallpaper’s staff are skilled wall coverings tradesmen and can expertly apply gold leaf. Phone Lee Whiter on 0488 763 503 for more details.